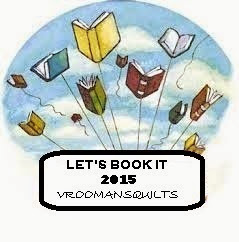 It's time for this month's Let's Book It linky party with Sharon at VROOMANS QUILTS. I'm using these blocks as leaders and enders. This is Bonnie's newest release. You can order it from her here. You can see a pic from Bonnie's Quiltville site here. The red/white/blue version looks awesome on that page too. I finished the quilt on the longarm pictured below and decided to throw another customer quilt on the frame. Here's Bonnie Hunter's pattern, Smokey Mountain Stars. I have decided on the Jesters pattern. The Loopys just weren't working for me. I made a back for a customer quilt. It can now be moved to the longarm area in the other house! Sadly the customer thought she bought enough fabric for the backing of two quilts. I'll have to shop for fabric for the other quilt back for her. I finished the two purple Sawtooth sampler blocks for the RSC15 sampler. I finished this purple table topper for the RSC15. I liked having a little finished project for the month for the RSC15. I may have to do more of this. This is called #Twistsandchurns. I loved playing with my Circle Lord microfiller templates. I see more of this in my future for sure! You can see more about the quilt on my post here. It took five hours to longarm; love the details! I worked on this customer quilt. I quilted it with the Circle Lord Jesters pattern. Love it too! 30. The School Bell Has Rung sampler at laugh yourself into Stitches. 7. December 2014 Block Lotto Big O blocks that I won 12.31.14! WHEW! I'm exhausted just typing this list! I have a customer's quilt (Smokey Mountain Stars) on the frame today. This is a Bonnie Hunter pattern. You can find the free pattern on her Quiltville blog here. I'm still unsure how to quilt it. Let the inspiration/suggestions flow! Hmmm. I'm thinking Circle Lord Loopy Loops? Yesterday I posted my little #twistandchurns table topper. I found the pattern fun and decided to play more with my purple scraps. I love it! I also played with my Circle Lord microfiller boards. Check out this little stitching. It makes for a really flat table topper! I got the pattern from a free e-book. It's called Twists and Churns. I omitted the small churn dash from the center of the mini because I will most likely be using it as a table topper. The design is by Sandy Whitelaw. I longarm quilted these four patterns onto the quilt using my Circle Lord microfiller templates and a stylus. It took five hours to quilt. It was my first time using the boards. I wanted practice. I'm linking up with Angela's blog, SoScrappy for the RSC15 here. Stop by and see what the others are making. There's plenty of inspiration to use your scraps. This is the last week for the purple scraps in the RSC15 for April. I'm not really a purple fan, but I think this came out really nice. I can't stop looking at the quilting on it! I'm linking up with Angela's blog, SoScrappy for the RSC15 here. Stop by and see what the others are making. 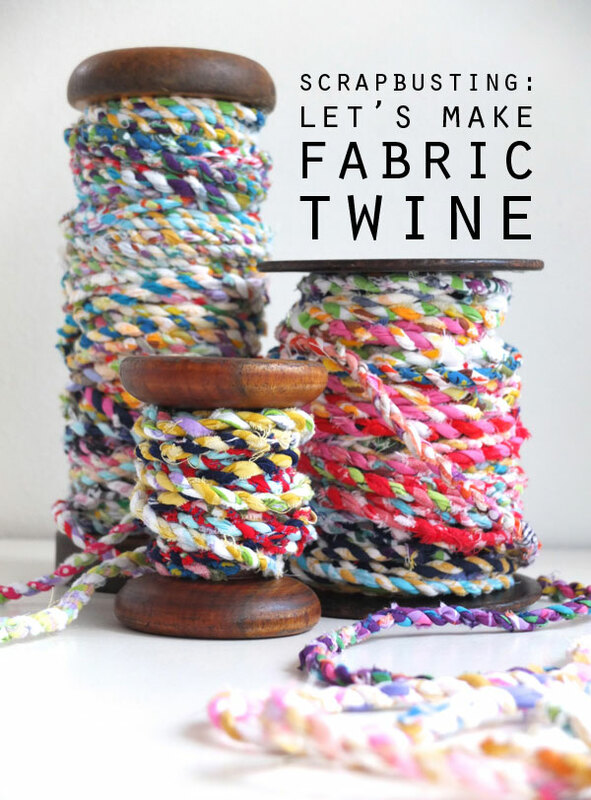 There's plenty of inspiration to use your scraps. I used my micro-filler templates by Circle Lord to do some random quilting. I couldn't decide which one I liked more. The quilting is very dense, but perfect for a very flat table topper. Here's a pic with a quarter so that you can see how small the quilting is. You can also see the four different designs. Another customer quilt is on the frame today. Boy did I have some tension problems! I don't know why. I'm using the same thread... It took me about an hour and a half to get it adjusted to my quality standards. I am using my Circle Lord's Jester pattern. I know the customer will like this one. She loves swirls and jagged things. You can see the pattern better in the blue border in the picture below. WIP Wednesday -- The one with 7 new WIPS! There's good news and bad news to this post. I have a new customer. She gave me SEVEN of her WIPS to finish! Whew. That's a lot, but I know they can be done. Two of them were started 20 years ago. She gave me this fleece to use as batting. I've never used fleece as batting before... only backing. She also only had backing fabric for one of the Ohio State quilts. She started these quilts when the boys were four years old. It's a 20-year WIP! She did an awesome job of making sure every block was nice. These deserve to be finished! This is a scrappy Ocean Waves queen sized quilt. It needs a new binding. I'm here to rescue it for her. This was the result of a block-of-the month club project. None of the blocks are made. One bag has been opened -- that's it. I told her this may take a year or so before she sees this one. I think she would like it for her granddaughter's graduation. The granddaughter is 14. I have some time. These are GORGEOUS flannels in Ohio State colors. Nothing cut or sewn, just purchased again. More purchased fabrics. I think she wanted an Irish Chain quilt when she purchased them. BUT, when she saw my completed Urban Churn Dash QA quilt at Piece N Quilt, she wanted me to use this fabric for that. I'll need to add a white on white for the background fabric. I had a finish! I finished the longarm quilting for a customer. This is quilted with Egyptian Eye. I worked on more purple scrappy blocks for the RSC15. These blocks are called Urban Classics by Nancy Mahoney. You can find it and many other free patterns on Nancy's page here. I also finished three Fortune Teller blocks for the RSC15. LOVE these purple strings! These are from the book, Sunday Morning Quilts: 16 Modern Scrap Projects - Sort, Store, and Use Every Last Bit of Your Treasured Fabrics by Amanda Jean Nyberg eBook -- I got it from our county library ONLINE!!! I made one more star for the April Block Lotto. This is a total of three this month for me. LOVE the made fabric in the centers of these blocks! The color options are gorgeous too. I wanna win! I'm linking up with Lee at Freshly Pieced today here. 1. The School Bell Has Rung sampler at laugh yourself into Stitches. The School Bell Has Rung is a sampler QA. It just started on 4/9 at laugh yourself into Stitches. I decided to jump in and make this small 31" x 37" quilt. Fun, fun. Thank you, Karen Walker! What I hope to learn from this little quilt are a few longarm quilting techniques. I love the way Karen's is quilted. I may try some freehand feathers! I'm also making this with Halloween theme fabric. This week for the Rainbow Scrap Challenge I worked on more purple scrappy blocks. These blocks are called Urban Classics by Nancy Mahoney. You can find it and many other free patterns on Nancy's page here. The little loose 2.5" squares on the bottom of the blocks will be used in the sashing. Might as well cut them while I have all the scraps handy. I longarm quilted this Celtic Solstice quilt for a customer BFF quilty friend. Aren't her colors just bold and gorgeous? 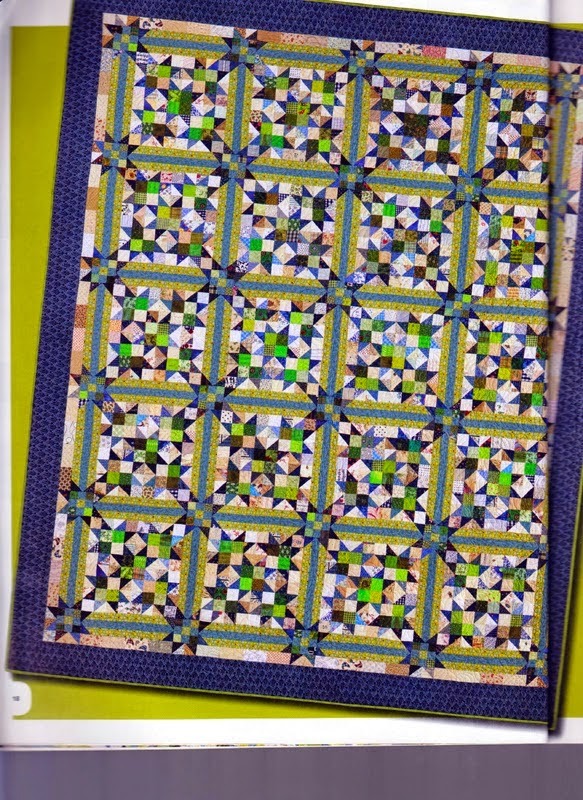 Beautiful quilt, Julianne, @ Quilting with Calicos blog! I quilted it with the Circle Lord Template called Egyptian Eye. I love this pattern! I used a florescent blue thread. It turned out great. This gorgeous quilt design, Celtic Solstice, is by Bonnie Hunter of Quiltville. 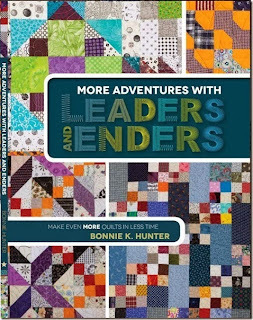 Thank you, Bonnie, for all of the beautiful patterns and designs that you share with us -- along with all the tips to make us better quilters. I love the way Julianne did the borders! And what a GORGEOUS Ohio day to get a picture in the sunshine!!! Linking up with Richard and Tanya for Link-a-Finish Friday. Check out all the others here. Today I finished three Fortune Teller blocks for the RSC15. LOVE these purple strings! These are from the book, Sunday Morning Quilts: 16 Modern Scrap Projects - Sort, Store, and Use Every Last Bit of Your Treasured Fabrics by Amanda Jean Nyberg eBook -- I got it from our county library ONLINE!! !